Western Australia’s new Perth Museum is nearly four times bigger than the existing WA Museum - Perth, and will feature up to 6,000 sq. m. of galleries, including a 1,000 sq. m. space to stage large scale, special exhibitions. The $395.9 million project will also feature learning studios, spaces to experience the behind the scenes work of the WA Museum, as well as retail spaces. This monumental expansion of the museum required more power with higher efficiency from a switchboard. Given the high level specification, performance and compliance requirements, Rittal’s Ri4Power, which is fully certified to the latest IEC 61439 standards was the most suitable and effective solution. Ri4Power proved to be the most economical system with significant labour cost savings thanks to less components and speed of assembly. 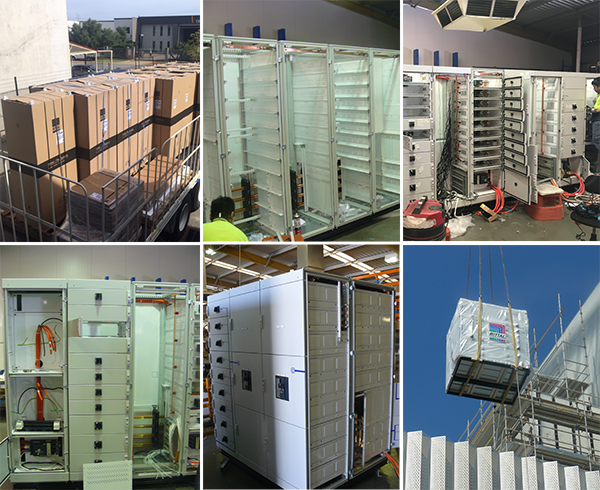 Rittal worked with Arc Switchboards in Perth to complete, test and deliver the switchoard ahead of schedule, 10 weeks from placement of order. Stay tuned for more updates on this most prestigious project.